"SWING MACHINE - DAILY, WEEKLY, AND MONTHLY MARKET VIDEO VIEW"
RECEIVE VARIOUS TIMING MODELS, HUNDREDS OF SET UPS, AND MUCH MUCH MORE. * THIS IS IN ADDITION TO YOUR BASE MEMBERSHIP, WHICH MUST BE MAINTAINED. "WATCH SWING MACHINE LIVE" GET A HIGH DEFINITION, NO DELAY VIEW OF THE SAME SIGNALS WE TAKE EVERY DAY. FOR JUST $399.95 A MONTH**, IN ADDITION TO YOUR LEVEL I MEMBERSHIP, YOU WILL RECIEVE A HIGH DEFINITION AND NO DELAY VIEW OF THE VERY SAME SIGNALS WE TRADE EACH AND EVERY DAY. YOU WILL ALSO RECEIVE, ANY OF OUR CUSTOM INDICATORS, PAINT BARS, OR STRATEGIES AT NO ADDITIONAL COST. YOU WILL ALSO HAVE ACCESS TO SPEAK WITH BAGGER DON LIVE EACH AND EVERY DAY. COME AND GO, AT YOU LIESURE. "JUMP START OPTION - JUST $1000 FOR 2 PLUS MONTHS"
the opportunity to subscribe at just $299.95/MONTH following your "JUMP START PROGRAM"
This is a SPECIAL "JUMP START FOR NEW BASE MEMBERS" who have already toured (thru a HALL PASS) the SWING MACHINE LIVE. SIGN UP BY MAY 15th, 2019 for 2+ months at $ 1,000 and receive access thru JULY 30, 2019. You will save off the traditional rate and get at LEAST 2 EXTRA WEEKS - a total savings value over $500! In essence, "BAGGER DON" is subsidizing your SIMULATION MONTH! And you will save $100 /month, should you choose to remain a LEVEL TWO MEMBER at just $299.95/month, following your JUMP START. ON AUGUST 1, 2019, A MONTHLY RATE OF $299.95, WILL BE AVAILABLE DURING A 3 DAY SIGN UP PERIOD. AT THE CONCLUSION OF YOUR "JUMP START" YOU CAN CHOOSE TO CONTINUE YOUR MONTHLY LEVEL TWO AT THE DISCOUNTED RATE OF $299.95/MONTH, IF YOU SIGN UP ON A RECURRING BASIS (WILL MODIFY WEBSITE FOR YOUR SIGN UP). YOU WILL RECIEVE A HIGH DEFINITION AND NO DELAY VIEW OF THE VERY SAME SIGNALS WE TRADE EACH AND EVERY DAY. YOU WILL ALSO RECEIVE, ANY OF OUR CUSTOM INDICATORS, PAINT BARS, OR STRATEGIES AT NO ADDITIONAL COST. YOU WILL ALSO HAVE ACCESS TO SPEAK WITH BAGGER DON LIVE EACH AND EVERY DAY. COME AND GO, AT YOUR LIESURE. 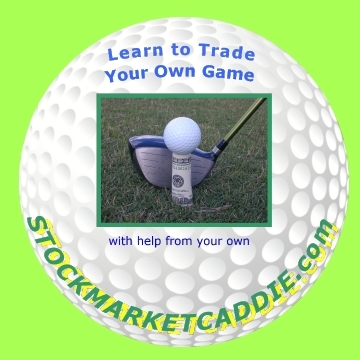 PROPRIETARY SOFTWARE ANNUAL LICENSE - INCLUDING "SWING MACHINE"
*MUST HAVE AT LEAST 3 MONTHS EXPERIENCE WITH "SWING MACHINE"
AND DON'S EXPERTISE ON ANY TWEAKS OR TESTING OF NEW STRATEGIES AND INDICATORS. THE LEASE IS FOR ONE YEAR, AND IS NON-REFUNDABLE. BY VIRTUE OF PURCHASING THIS LEASE, THE LEASOR HAS READ AND ACCEPTED ALL DISLCAIMERS - TRADING, ESPECIALLY FUTURES, CARRIES SIGNIFICANT RISK, AND THE BUYER ASSUMES ALL RISKS, AND HOLDS STOCKMARKETCADDIE.COM AND THE MARSHALLS HARMLESS FOR ANY LOSS INCURRED.